Normally, when you hear that another Samsung device has exploded, the first phone that comes to your mind is the Galaxy note 7. But it seems the Galaxy note 7 is not the only one at the risk of exploding as a low budget Galaxy J5 has just reportedly gone up in flames. A Galaxy J5 exploded in the hands of Lamya Bouyirdane from France on Sunday. According to the owner, she asked her son to give the phone back to her when she noticed the phone was getting unusually hot. She had to throw the phone away when she noticed that it has swollen up and smoke was coming out of it. "I panicked when I saw the smoke and I had the reflex to throw it away," said Bouyirdane. Not Long after she threw the phone away, the phone caught fire and exploded with the back cover flying off. Luckily for the woman, they were able to put out the fire and avoid further damage. The mother of three who lives in the southwestern French city of Pau said she she bought the phone online last June at a website offering it with some discount. I think the good thing is that she was able to quickly take the phone away from her son before the incident happen. I actually don't see this incident affecting the Sales of the Samsung J5 has it happens to be an isolated case. 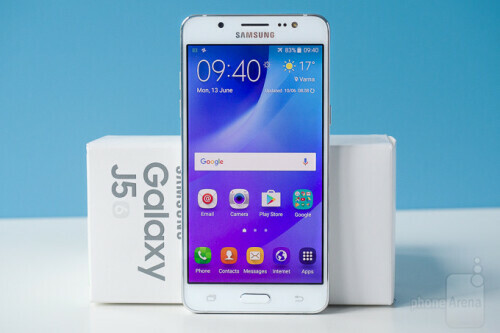 The Galaxy J5 which has been in the market for just a few months has already sold millions of units.